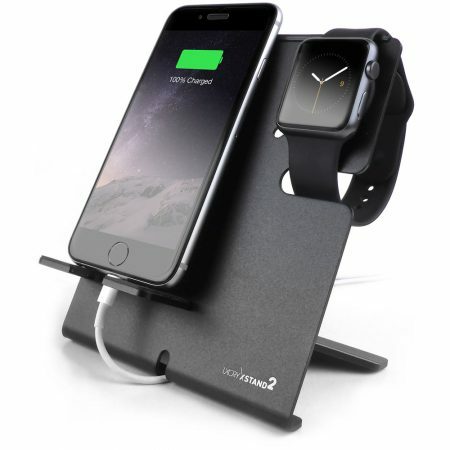 ENABLES ALL iPHONE MODELS WITH A LIGHTNING PORT FOR WIRELESS CHARGING. 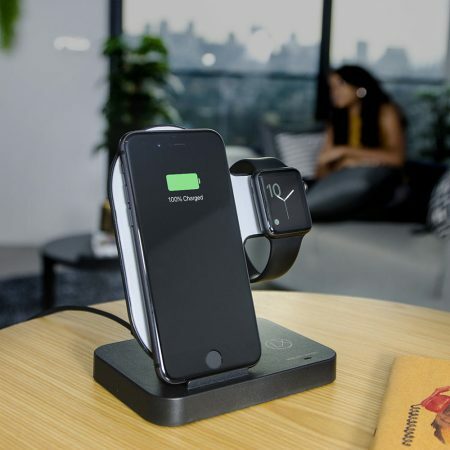 If you want to enjoy QI charging – this wireless iPhone charging kit will do the job. 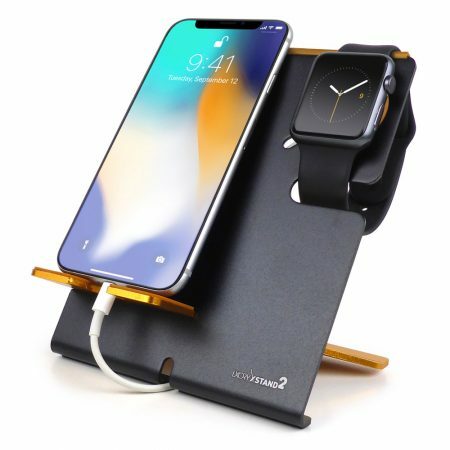 It contains a transmitter (charging pad) and a receiver to be connected to your iPhones lightning port (compatible models: 5,5C,5S,6,6 Plus,6S,6S Plus,SE,7,7 Plus). SIMPLE TO SET UP AND EASY TO USE. It only takes a minute to install: Connect the transmitter to a powered USB outlet. 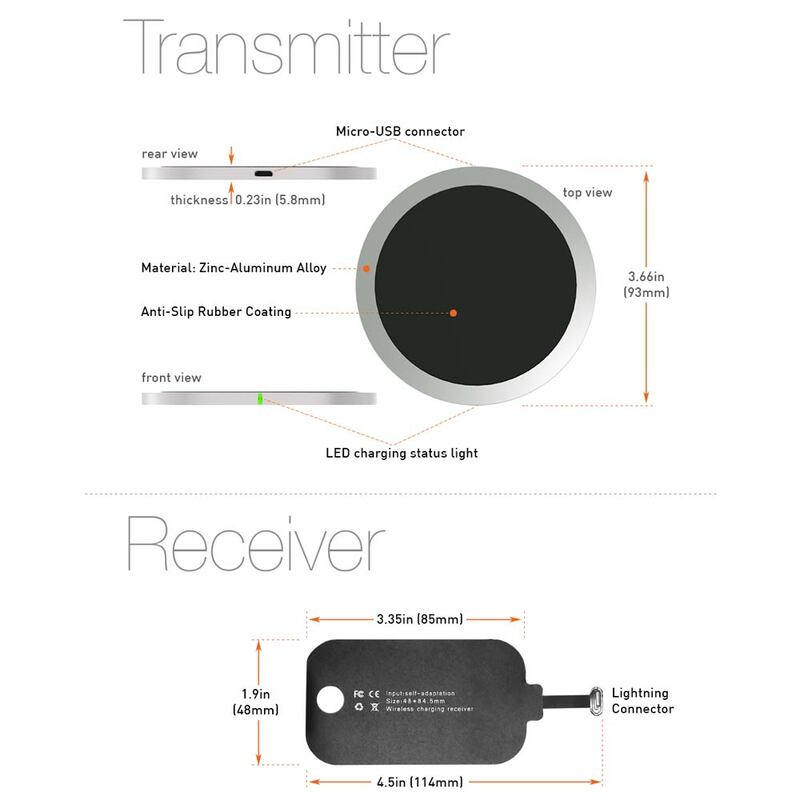 Plug the receiver into your phone's lightning (charging) port. Place the phone on the transmitter pad – done. Your iPhone is now charging with no 'strings' attached. 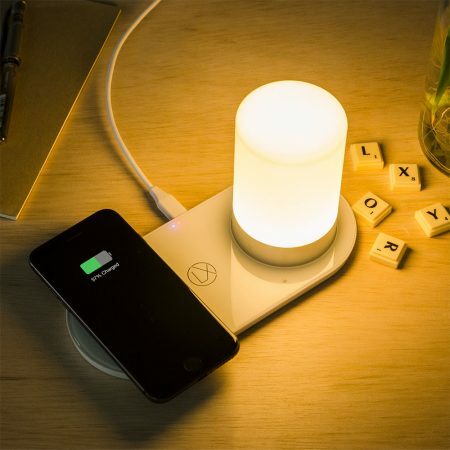 BUILT-IN THERMO PROTECTION Wireless iPhone charger get warm while charging. Cheap chargers can overheat your phone. We included a temperature sensor which will limit the maximum temperature of the transmitter to a safe range. So that your phone is protected from heat damage. 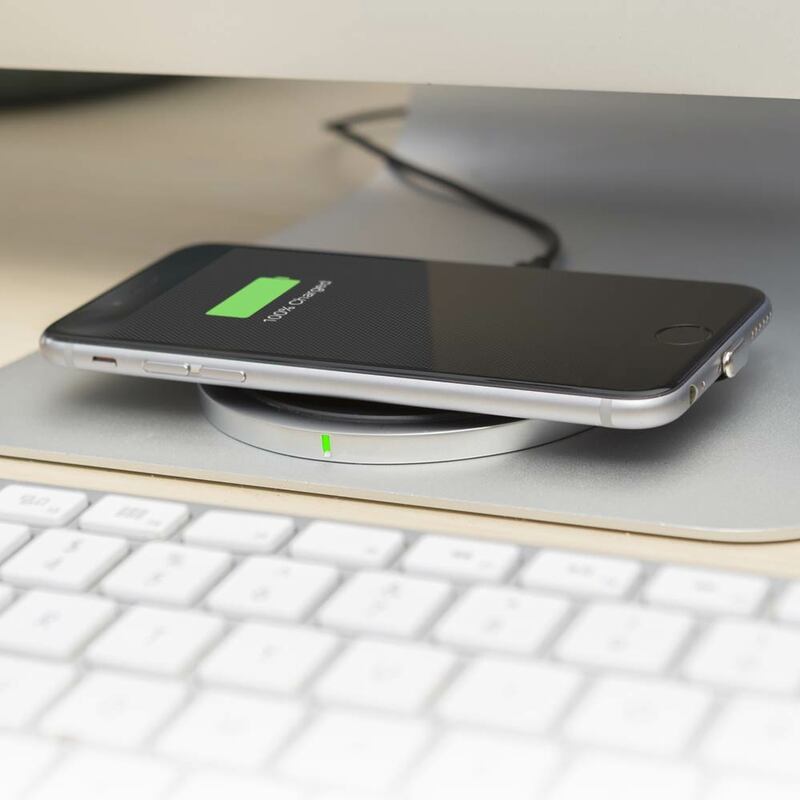 SLIM AND STYLISH DESIGN Not much thicker than a coaster, the solid aluminum-alloy charger comes with a futuristic, minimalistic feel to it. The receiver is only o.o8 in thick so that it fits under most cases. 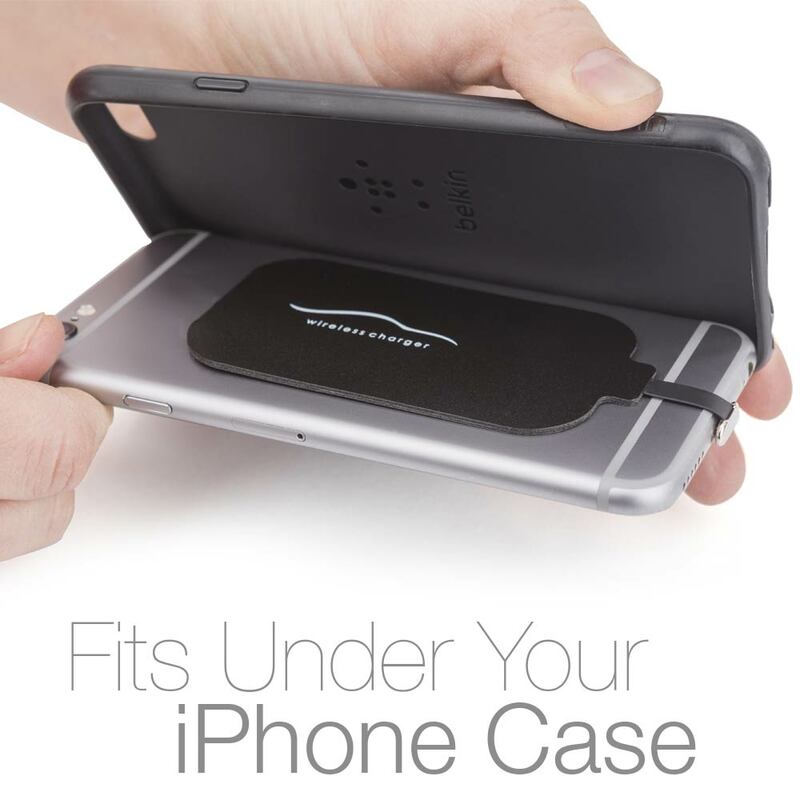 It can also be attached to the back of your phone without case. Adhesive patch is included. 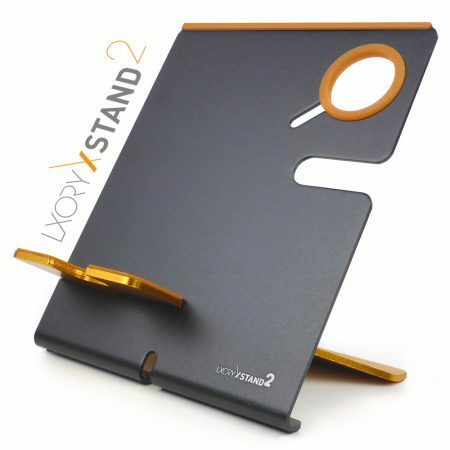 WORKS GREAT WITH THE XSTAND Just stick the transmitter to the LXORY XStand and turn it into a Qi wireless charger stand. 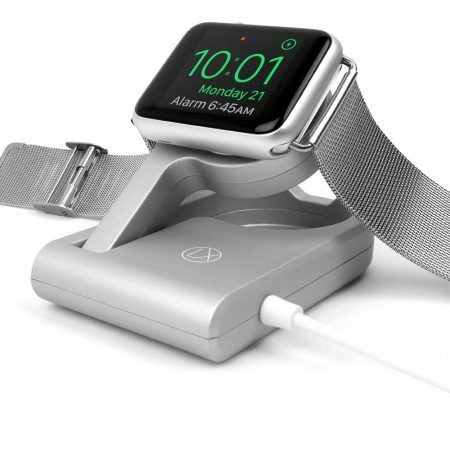 We designed this charger to be a great fit and for the XStand so you can charge your iPhone and Apple Watch cable-free in one place. 3. 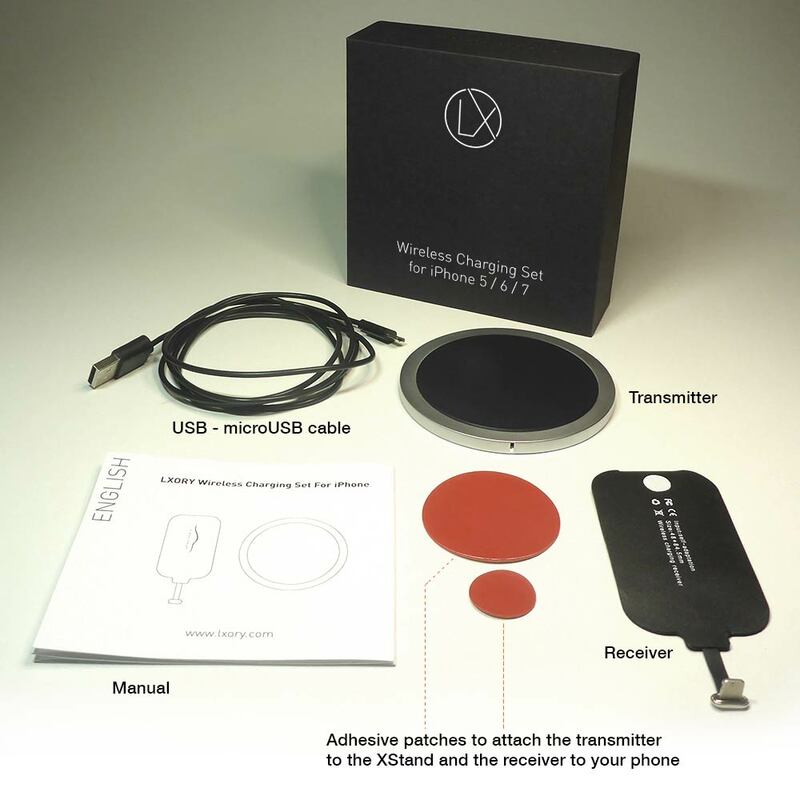 Place your phone on the transmitter pad – that’s it! 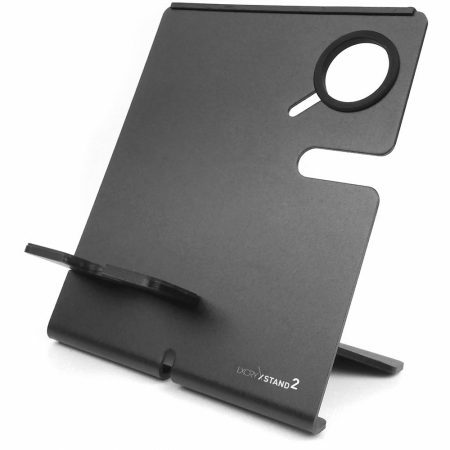 The ultra-thin receiver fits under and works well with most phone cases. Unless your case is very thick (>3mm) or contains metal. 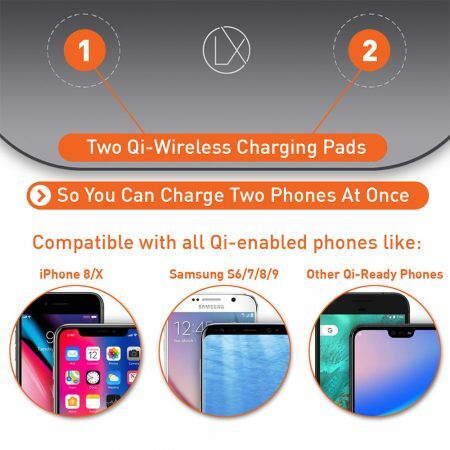 Qi wireless charging uses magnetic induction, which works only in close proximity (< 6mm) and can not penetrate metal. cable-free in one place. 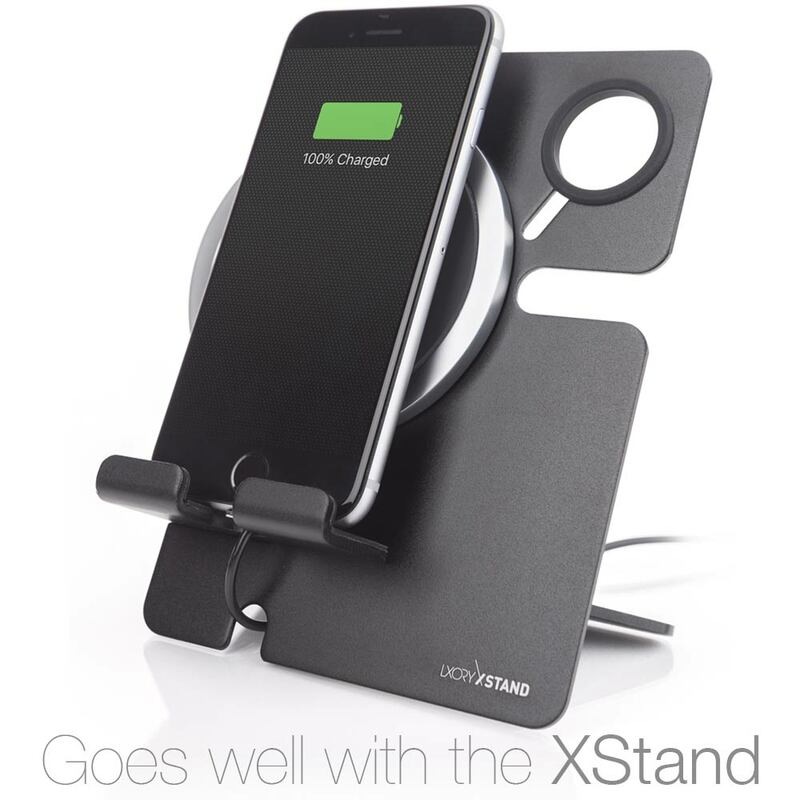 This wireless cell phone charging pad comes with adhesive patches so you can easily mount it on to the XStand. I received this as a gift from my brother a couple of weeks ago and I’m thrilled with it! 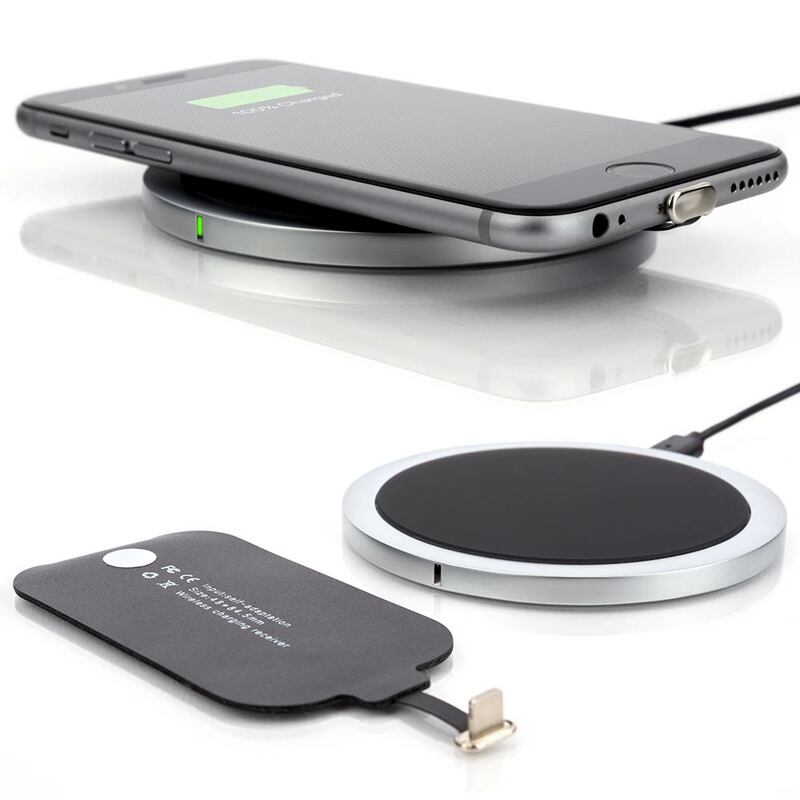 This is by far the best QI wireless charging set for the iPhone that I’ve tried & I’ve owned quite a few. 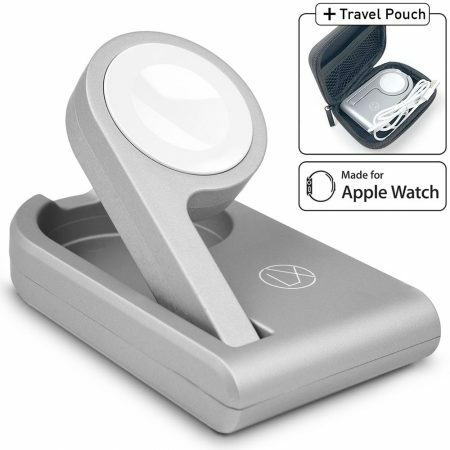 Everything from the functionality to the design to even the packaging is great imho & it has really impressed me so far. 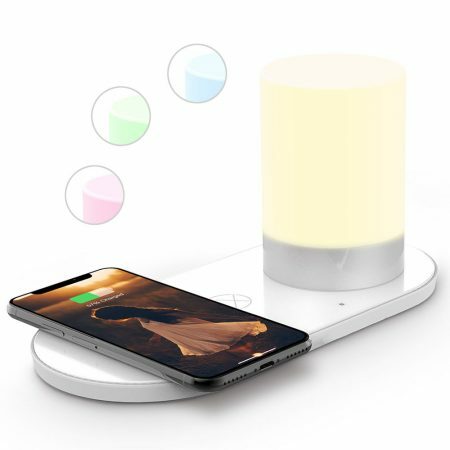 I personally love the design of this set, the charging pad is a simple yet elegant looking circular design, it’s very thin which I like as it does not add any unnecessary bulk on my desk. 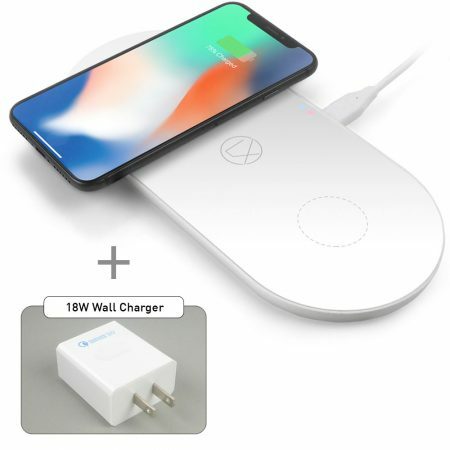 The charging pad is also made very well & you can easily tell they used high-grade materials so I have a feeling it would definitely stand the test of time. The charging pad looks to made of a stainless steel with a cushioned top as to not scratch the phone when resting it to charge. I will include some pictures so you can see what I mean & you can judge the thickness of the pad based on the Micro-USB cable attached in some of the pictures. 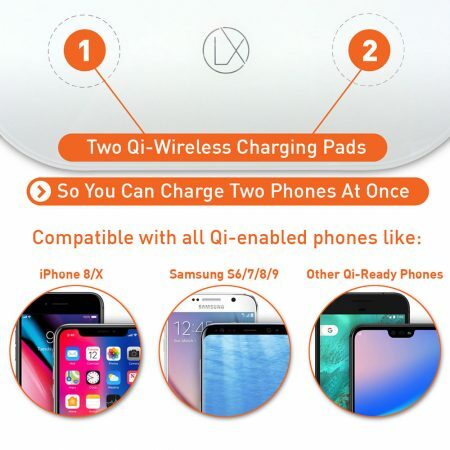 The QI charging device that attaches to the iPhone also looks to have been made a hundred times better than previous ones I’ve had from different companies with the actual lightning port connector on this one being made extremely well and it has a very solid feel. It’s fairly thin & comfortably sits between the phone & case, though I have to admit that I personally ended up purchasing a new phone case that did not have a circular cutout for the apple logo because I did not like the fact that you were able to see a small portion of the QI device through the case cutout but that has more to do with the case I was using and my personal preference than the QI device. This set also included 2 different size sticky pads to attach the QI device to the back of the phone but I did not use them as I found that the case itself provided enough friction to keep the device from moving around inside. 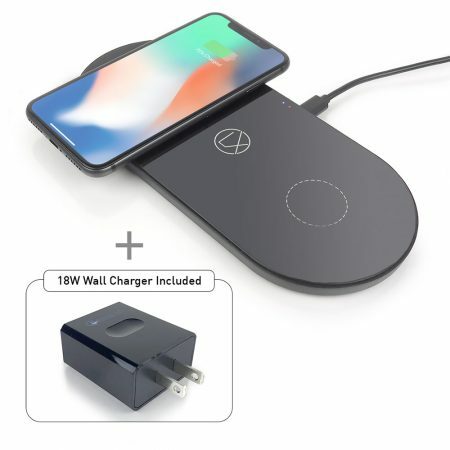 The QI charging pad is connected to power via in included micro USB cable, the pad has a built indicator LED that I’ve come to really appreciate as it’s been very useful at times. As far charging times, so far I have not noticed any change in the amount of time it takes to reach a full charge vs using a standard iPhone cable. It does provide a lot of conveniences though, I love being able to just set my phone down on my table without having to think about it & knowing that it will be fully charged & ready to go when I need it. I’m even looking to see if I can purchase a second of these pads to keep at the office. Another thing that really impressed me with this company is the packaging, (I will add pictures so you can see) even the packaging materials are good and you can tell that a lot of thought went into the design sort of like apple & other high-end products. I was so impressed with everything that I’ve been considering purchasing other items from this company like their solar powered wireless camera. If I do, I’ll be sure to write another review and let people know. 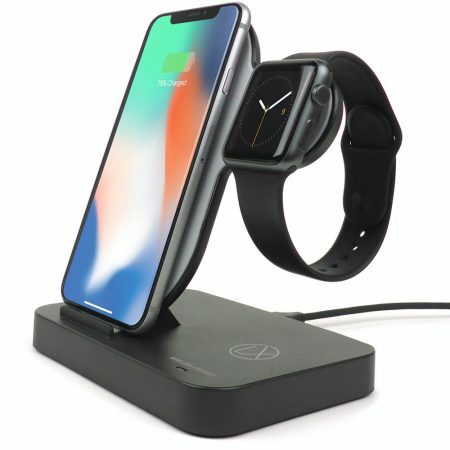 I hope this review with the pictures can help and if anyone has any questions about this QI charging set, feel free to ask & I will do my best to try and answer. Works good and it fast. fits in case to.